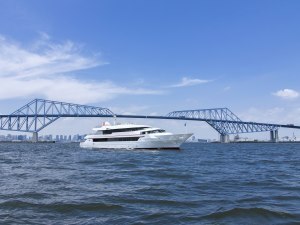 A sightseeing dining cruise departing from Kobe Harborland Mosaic (Kobe City, Chūō Ward). 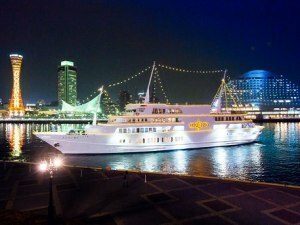 Sights to be enjoyed during the 1.5 to 2 hour cruise around the waters off Kobe include Akashi Kaikyō Bridge, cityscape of Kobe, and night view. We welcome you to our restaurant cruise ship Concerto with a passenger capacity of 604 guests and an on-board entertainment.